Lambs can be kept as pets, who knew? Born in France, but moved to Italy and married an Italian girl who modeled for his Madonna paintings. So he married the girl he spent countless hours portraying as the virgin mother of Jesus (what was that wedding night like?). His student turned rival Charles LeBrun, got promoted to overlord of all art related issues at the royal palace of Versailles under Louis XIV. However, LeBrun was a jealous little creature and made sure none of Vouet's work made it through the door. Simon Vouet was born on January 9, 1590 in Paris. His father Laurent was a painter in Paris and taught him the rudiments of art. Simon's brother Aubin Vouet (1595–1641) and his grandson Ludovico Dorigny (1654–1742) were also painters. Simon began his painting career as a portrait painter. At age 14 he travelled to England to paint a commissioned portrait and in 1611 was part of the entourage of the Baron de Sancy, French ambassador to the Ottoman Empire, for the same purpose. From Constantinople he went to Venice (1612) and was in Rome by 1614. He remained in Italy until 1627, mostly in Rome where the Baroque style was becoming dominant. He received a pension from the King of France and his patrons included the Barberini family, Cassiano dal Pozzo, Paolo Giordano Orsini and Vincenzo Giustiniani. He also visited other parts of Italy: Venice; Bologna, (where the Carracci family had their academy); Genoa, (where from 1620 to 1622, he worked for the Doria princes); and Naples. He was a natural academic, who absorbed what he saw and studied, and distilled it in his painting: Caravaggio's dramatic lighting; Italian Mannerism; Paolo Veronese's color and di sotto in su or foreshortened perspective; and the art of Carracci, Guercino, Lanfranco and Guido Reni. Vouet's immense success in Rome led to his election as president of the Accademia di San Luca in 1624. In 1626 he married Virginia da Vezzo who modelled Madonnas for Vouet's religious commissions. Despite his success in Rome, Vouet suddenly returned to France in 1627, following pressing recommendations from the Duc de Béthunes and a summons from the King. A French contemporary, lacking the term "Baroque", said, "In his time the art of painting began to be practiced here in a nobler and more beautiful way than ever before," and the allegory of "Riches" [illustration, left] demonstrates a new heroic sense of volumes, a breadth and confidence without decorative mannerisms. Vouet's new style was distinctly Italian, importing the Italian Baroque style into France. He adapted this style to the grand decorative scheme of the era of Louis XIII and Richelieu and was made premier peintre du Roi. Louis XIII commissioned portraits, tapestry cartoons and paintings from him for the Palais du Louvre, the Palais du Luxembourg and the Château de Saint-Germain-en-Laye. In 1632, he worked for Cardinal Richelieu at the Palais-Royal and the Château de Malmaison. In 1631 he also decorated the château of the président de Fourcy, at Chessy, the hôtel Bullion, the château of Marshal d'Effiat at Chilly, the hôtel of the Duc d’Aumont, the Séguier chapel, and the gallery of the Château de Wideville. In Paris, Vouet was the fresh dominating force in French painting, producing numerous public altarpieces and allegorical decors for private patrons. Vouet's sizeable atelier or workshop produced a whole school of French painters for the following generation, and through Vouet, French Baroque painting retained a classicizing restraint from the outset (although Vouet was not as classical as his contemporaries, Nicolas Poussin and Philippe de Champaigne). His most influential pupil was Charles le Brun, who organized all the interior decorative painting at Versailles and dictated the official style at the court of Louis XIV of France, but who jealously excluded Vouet from the Académie Royale in 1648. 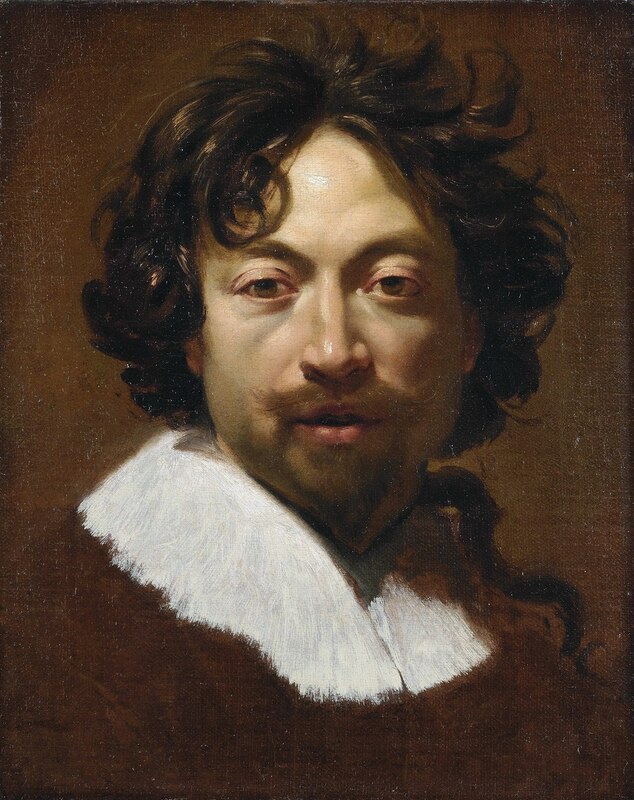 Vouet's other students included Valentin de Boulogne (the main figure of the French "Caravaggisti"), Charles Alphonse du Fresnoy, Pierre Mignard, Eustache Le Sueur, Nicolas Chaperon, Claude Mellan and the Flemish artist Abraham Willaerts. Also gardener André Le Nôtre, later a landsscape architect, studied in his studio. Vouet was also a friend of Claude Vignon. A number of Vouet's decorative schemes have been lost but are recorded in engravings by Claude Mellan and Michel Dorigny. Check out the full Wikipedia article about Simon Vouet.